M. Azad who had passed out in Screen play writing earlier had started working as an assistant to the well known Malayalam Film Director P.N.Menon in the film KUTTIYEDATHI. The screen play was by the renowned Malayalam writer M.T.Vasudevan Nair, popularly known as M.T. 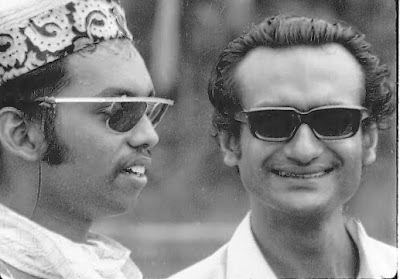 Having worked with both of them Azad was instrumental in bringing them to the Institute for the first time. M.T.accompanied by Azad was there at the Institute as a Guest faculty for about a week interacting with the students and taking classes in screen play writing. He also used his spare time viewing some of the world classics at the National Film Archives. Azad being a very good friend and well wisher of me took particular interest in introducing me to these towering personalities from Kerala. This meeting with M.T. was to have a great impact on my career later on. 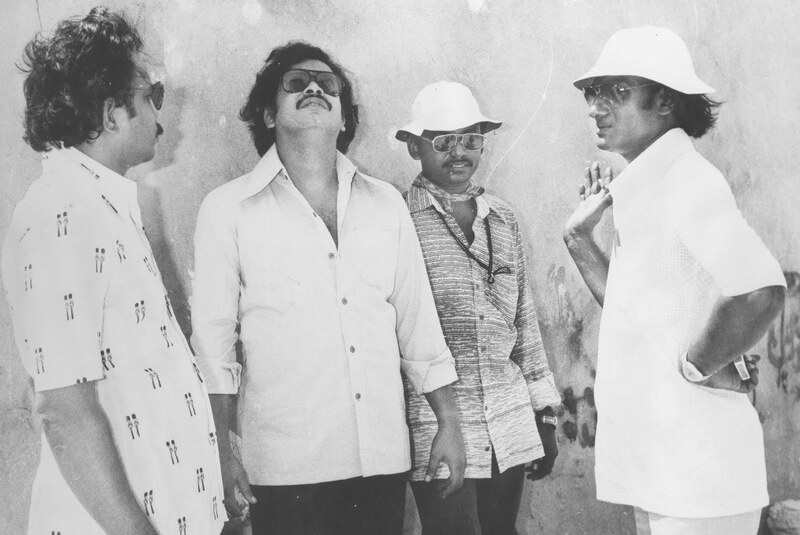 When in 1973, M.T.decided to make a film based on his short story "Pallivalum Kaal Chilambum" as NIRMALYAM, he thought of me and asked me to work as cinematographer in his maiden venture as Director. 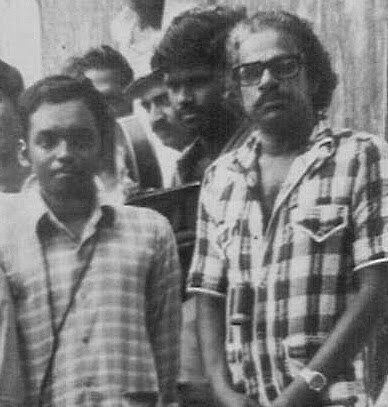 Even though he had known many renowned stalwart cinematographers in the Malayalam film industry who were too happy to work with him, he had chosen me , a comparatively new comer as his cinematographer. Azad who was also the Associate director was instrumental in having all the key technicians from the Film Institute itself - Editor Ravi and Sound Engineer Devadas and a Key role played by actor Ravi Menon. M.T. 's trust in the caliber of Institute Alumni never failed him and it is history that the film NIRMALYAM was chosen for the Golden Lotus as the Nation's Best Film. My association with M.T.continued in more films directed by him - BANDHANAM, VAARIKKUZHI. I became a very close friend to him and his family members and he considers me as a younger brother to him. Azad's maiden film VILKANUNDU SWAPNANGAL was also scripted by M.T. and naturally I was the cinematographer. 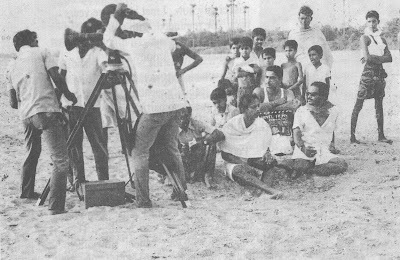 A major portion of the film takes place in Dubai and it was the first ever Malayalam film to have the location shooting at the Emirates. Azad once again came to the Institute, this time with Director P.N.Menon and his film KUTTYEDATHI. The film was well appreciated by the students and everyone liked the raw texture of the film and the rustic personality of P.N.Menon. I was also meeting him for the first time and found him to be receptive to experiments. Already he had Institute Alumni Ravi as his Editor at a time when the film industry in general had an aversion towards Institute graduates on the whole. He also had Madras Institute of Film Technology trained Ashok Kumar as his cinematographer.